Wm. 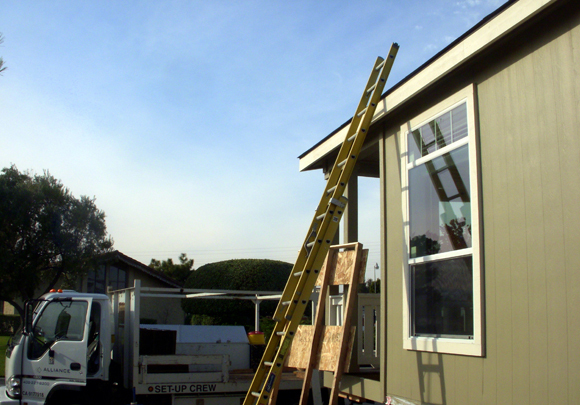 Ebert Construction, now Alliance Manufactured Homes Installations, has installed 75% of the new manufactured homes in the Greater Bay Area, accredited with over 5,000 new home installations. Always innovating, Alliance Installations has expanded its offerings and now uses the same construction expertise to provide customized exterior packages and expert home maintenance. So whether you are interested in updating your home with rock skirting, could use a custom matching shed, or are simply in need of a new paint job, call Alliance Installations for a free quote today at (408) 227 – 8200. Alliance Installations is now offering earthquake bracing for any size home at the low flat rate of $1,995.